Once seen as a short lived fad, the concept of ultralight backpacking has been around for many decades but it has really only been since the 1990’s with the availability of commercial lightweight gear, the internet and a range of books that it has really taken hold. While Trail Life – Ray Jardine’s Lightweight Backpacking, is seen as the bible for ultralight backpacking and still provides solid information, it has become dated and is difficult to find. 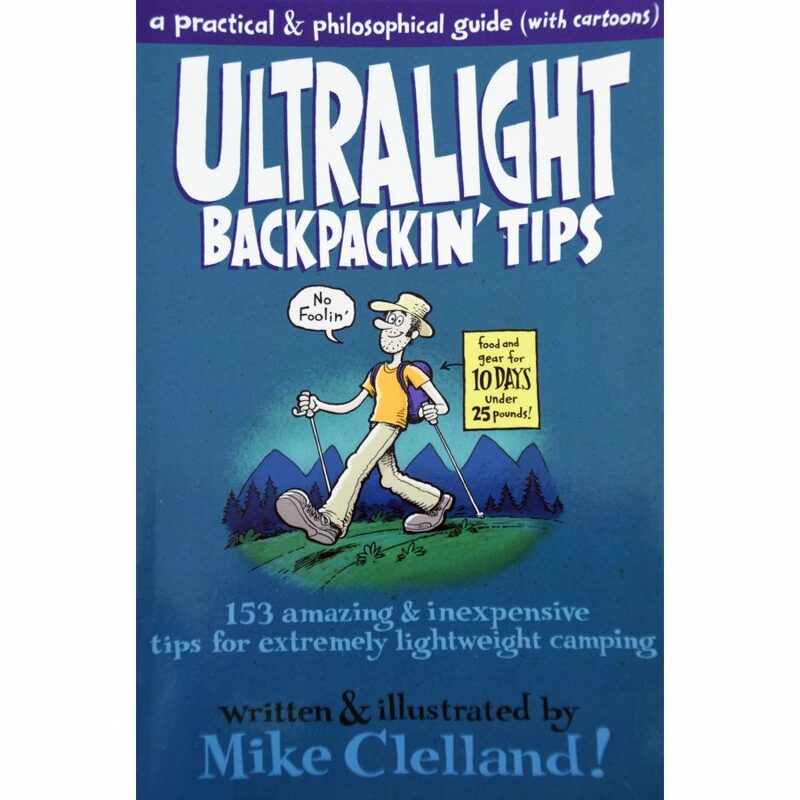 This is where Ultralight Backpackin’ Tips by Mike Clelland comes in. Produced in 2011 this book is relatively modern and easy to find with the best place to purchase being through Amazon which is usually the case with niche books. Like many ultralight books, this one covers the full range of topics including mindset, technique, the all important gear selection including ways of reducing the weight you carry, and pooping in the woods. This book is not large at 134 pages but it skims each topic providing just enough information rather than putting you to sleep. While this book does cover gear modification and simple gear hacks, it doesn’t really discuss making gear like some of the more in depth books so for those of you not yet committed to ultralight hiking, this may be the one for you. I also like the discussion on food and while I think 636 grams is a bit on the light side for a multi day trip, its not to far from where I sit with my own food weight. While it is aimed squarely at those hikers who deliberately want to lighten their load, this book will make the traditional hiker rethink what is really essential to carry and perhaps result a shift in how you hike. If you’re working towards doing a long trail or at that stage where you are trying to reduce the weight you carry for logistical reasons and still retain a level of comfort, then this book is well worth reading. Purchase a copy of this book through The Book Depository, or through Amazon.